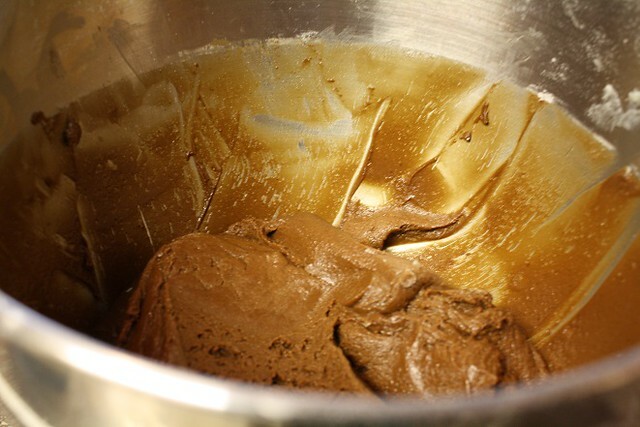 Here’s what you’ll need to make these dreamy Salted Mudslide Cookies: Kahlua (or your favorite Coffee liqueur), Instant Coffee, Sugar, All-Purpose Flour, 1 stick of melted Butter, Sea Salt, Chocolate chunks or chips (whatever you can find), Cocoa Powder (the recipe calls for Dark Cocoa, but I had this on hand already), Baking Soda, 1 Egg plus 1 egg yolk, Brown Sugar, & Vanilla Extract (or I always prefer Vanilla Bean Paste). Begin by preheating your oven to 325 degrees – no one wants to wait on an oven, now do they? 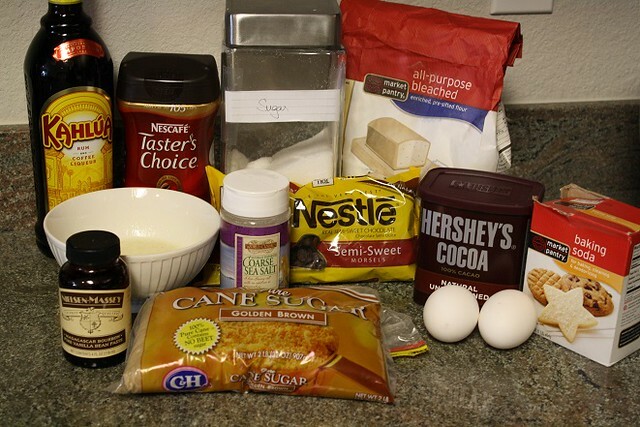 In a medium-sized bowl combine 2 cups plus 2 tablespoons of all-purpose flour, 1/2 teaspoon of baking soda, 1/4 cup of cocoa powder, 3 tablespoons of instant coffee, and 1/4 teaspoon of sea salt. 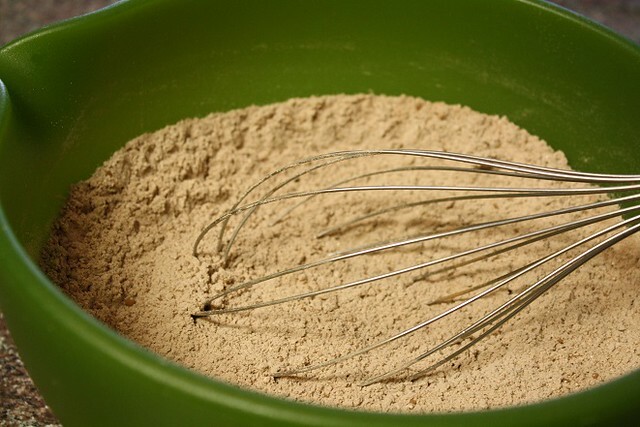 Then whisk until the mixture is well combined. Time to move on to the wet ingredients. Add 1 cup of brown sugar, 1/2 cup of granulated sugar, and 1 stick of melted butter that has cooled for at least 10 minutes to a bowl. I used my KitchenAid and combined the sugars and butter. 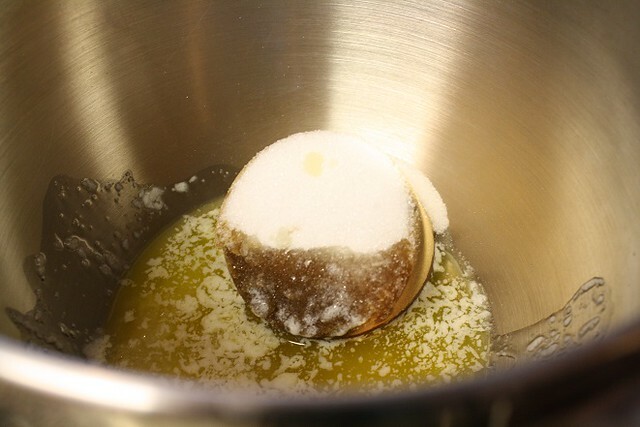 Then add 1 whole egg and the yolk of a second egg to the mixer along with 2 teaspoons of vanilla extract. Again, I love vanilla bean paste, so that’s what I used. Stream in 1/4 cup of Kahlua to the wet ingredients. 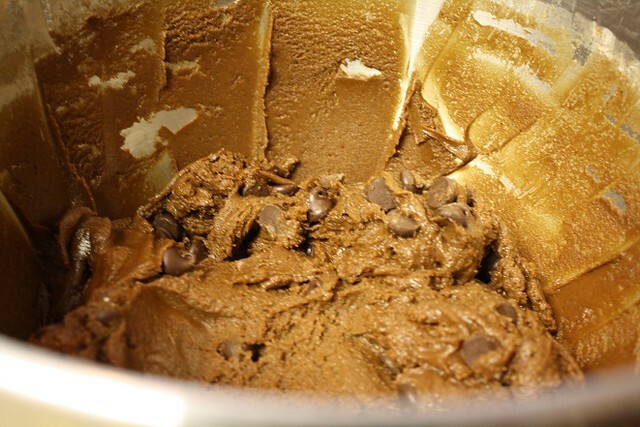 Then measure and add 1 cup of chocolate chunks or chips and fold it into the dough. Refrigerate the dough for 30 minutes. 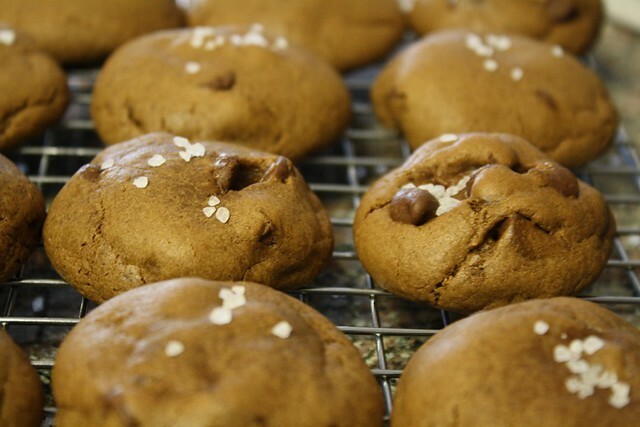 Bake for 10 minutes but be careful not to over bake your cookies. When you take them out immediately top them with sea salt. Let the cookies cool completely and then enjoy. Good luck to you and your resolve to stay out of these until they are cooled…one day I’ll be able to manage that. Then dig in. 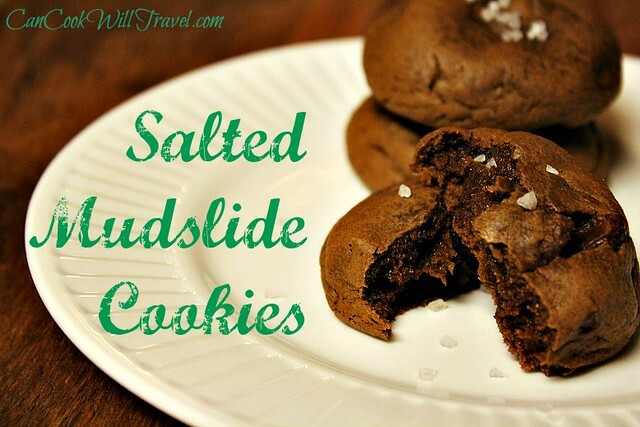 These cookies are chocolatey but not too sweet and definitely are reminiscent of a Mudslide. Now I’m thirsty! Happy baking my friends! 2. 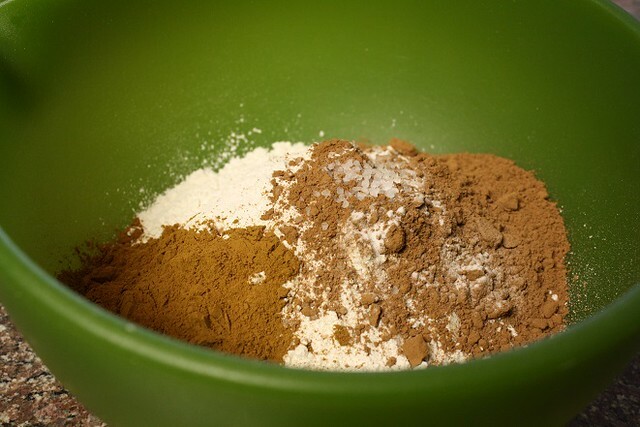 Mix the flour, cocoa, coffee powder, salt and baking soda in a bowl and set aside. 3. 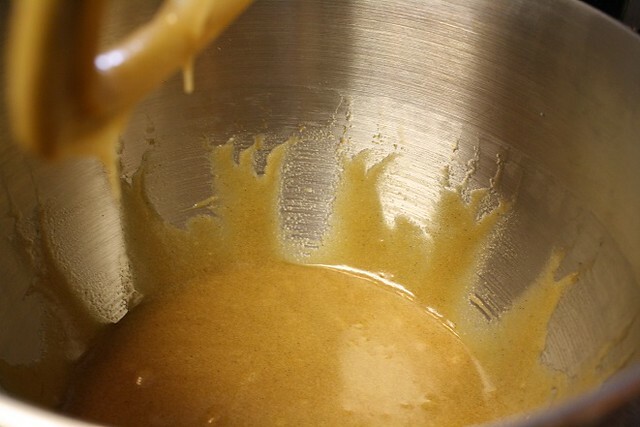 In another bowl, mix the melted butter and sugars until they are combined. 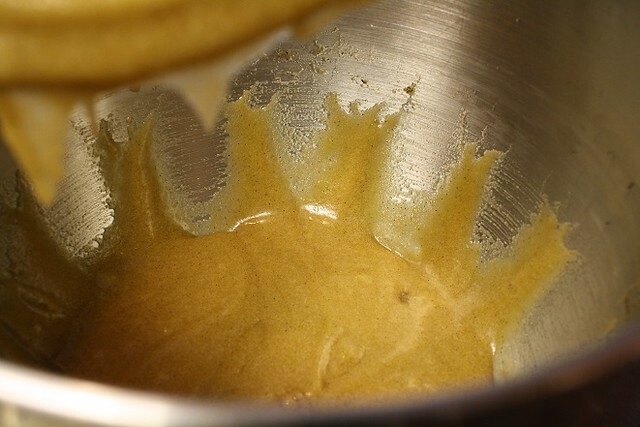 Add the egg, egg yolk, and vanilla and stir until mixed. Stream in coffee liqueur and mix. 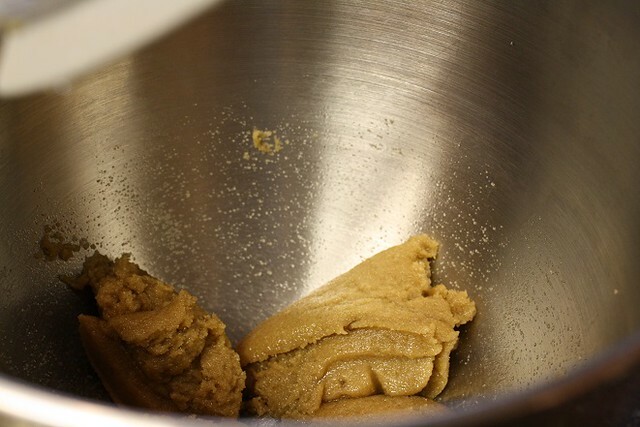 Gradually add flour and mix until a dough forms – it will look crumbly at first, but it will come together. I even used my hands to help at one point. If you find you absolutely need more liquid add in a teaspoon of coffee liqueur, but it should come together. Fold in the chocolate chunks. 5. 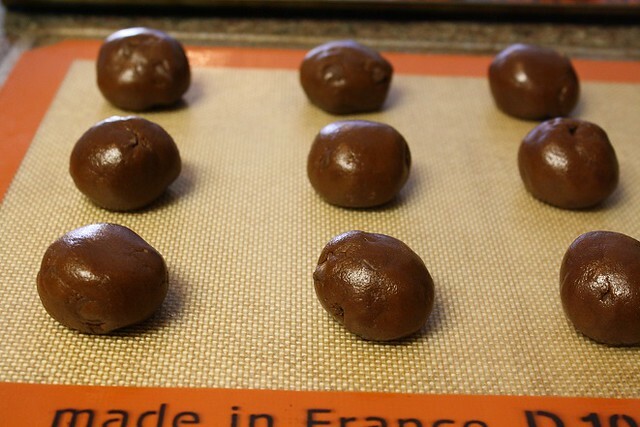 Remove dough from the fridge and roll into golf ball sized balls. 6. Set on a non-stick baking sheet with 2 inches between each. 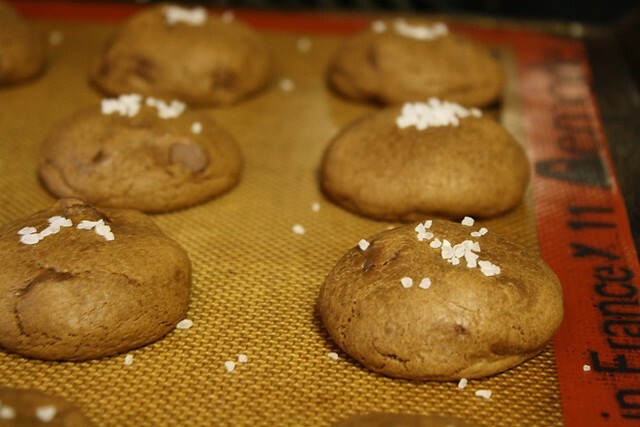 Bake for 10-12 minutes or until the edges are set and the middles are still soft. The centers should be puffy. Do not over bake. 7. Remove from oven and immediately sprinkle with sea salt. Let cool completely then dig in! Previous Post: « Firecracker Chicken with a Side of Yum!